This Art Nouveau 14K gold pendant was made in Moscow between 1908 and 1917. 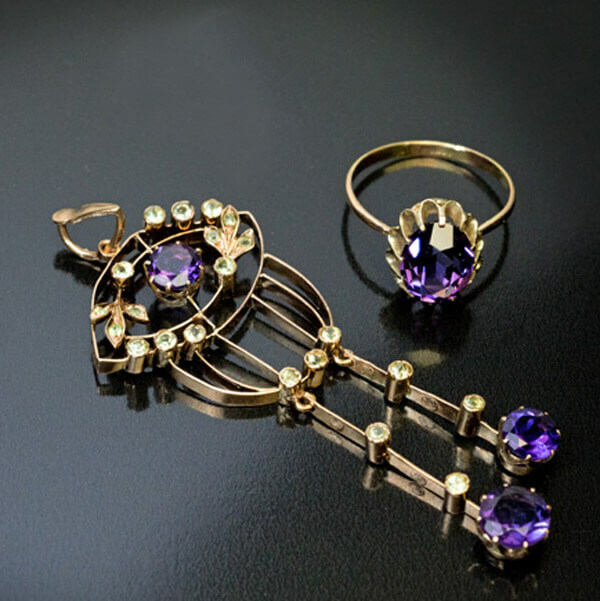 The pendant is set with amethysts, chrysolites and demantoids. Marked with 56 zolotnik gold standard and maker’s initials. 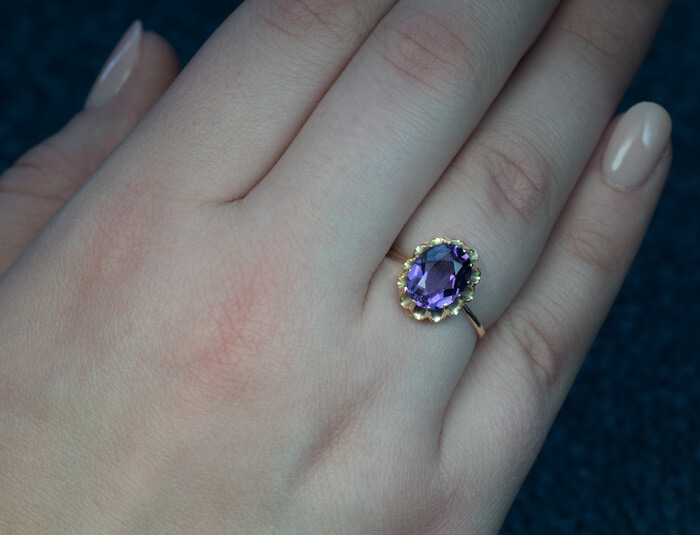 The 14k gold ring is set with an oval cut amethyst. 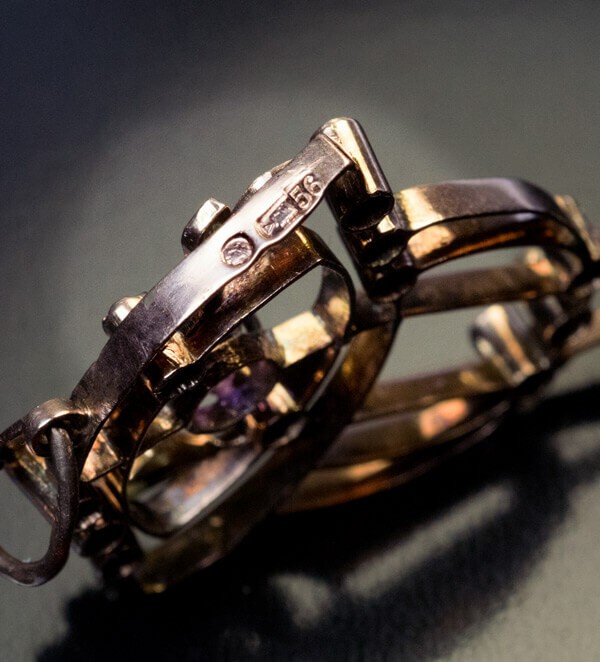 The ring was made in Moscow between 1899 and 1908. 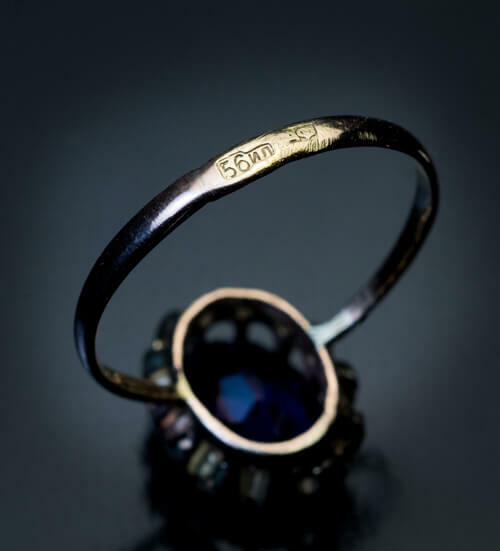 It is marked with 56 zolotnik gold standard with assayer’s initials of Ivan Lebedkin and maker’s initials. Ring size 7.25 (17 mm) sizable. The price is for both items.